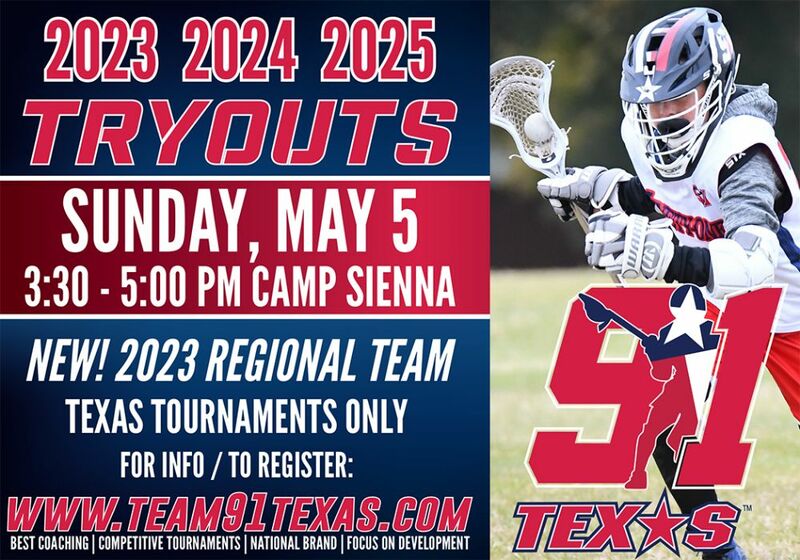 Why Join Team 91 Texas? Lacrosse families interested in summer teams - drop in anytime to enjoy light snacks and learn about T91TX Summer 2019 plans. 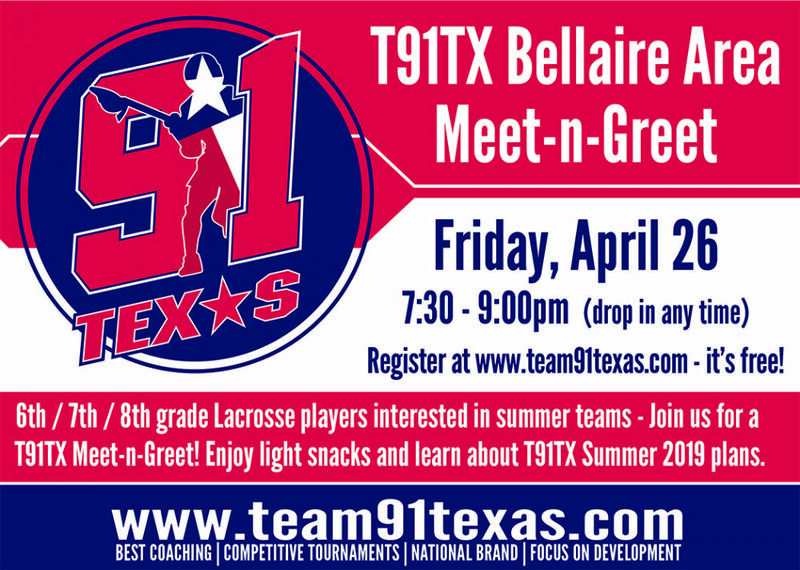 Join T91TX Coaches, Players and Administrators to learn about our select ball offerings - it's FREE! Free to register / attend; upon registration, you will be sent the home address in Bellaire, TX. 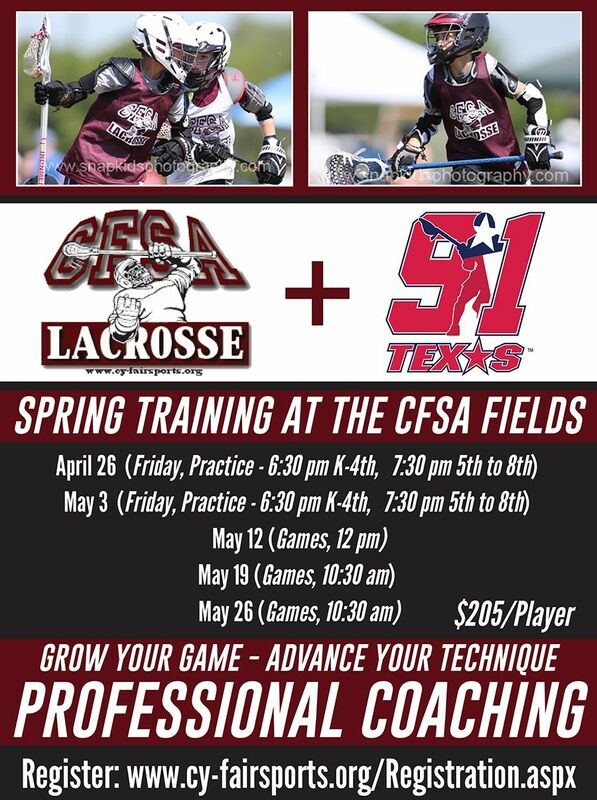 Join T91TX and CFSA for Spring Training at the CFSA Fields! Who: Boys, K - 8th grades - no experience needed. This is a great way to dive in to Lacrosse and learn the basics. If you're an experienced player, this is an excellent way to improve your skills with professional coaching. Looking for more training? 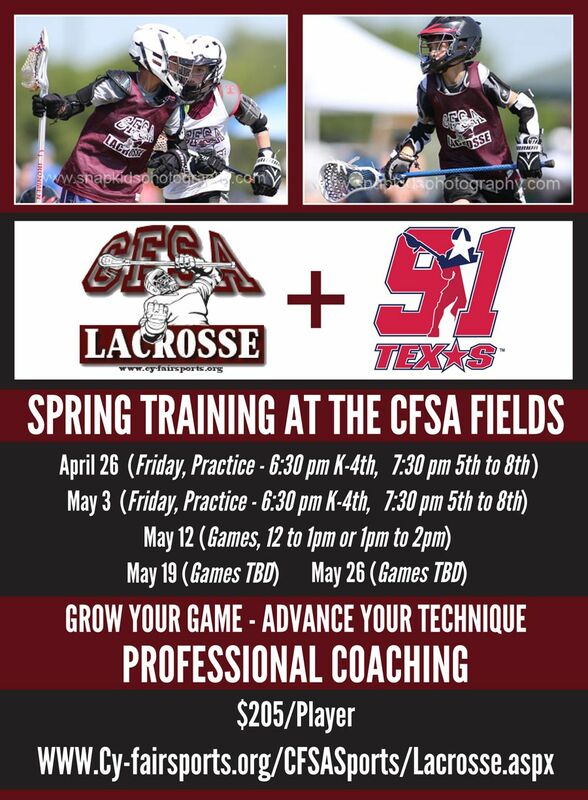 Join the CFSA and Team 91 Texas for Spring Training at the CFSA fields! 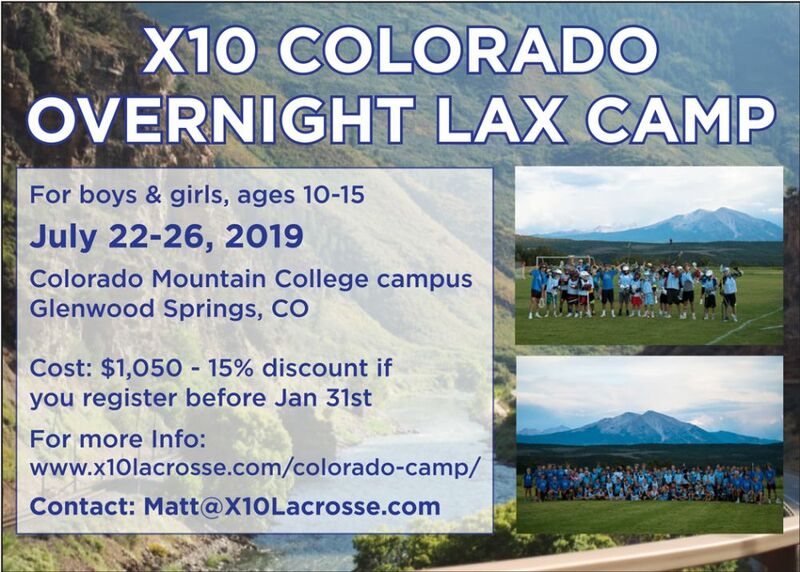 “My name is Matt Bocklet and I am the Director of X10 Colorado's Overnight Camp. I could not be more excited for our 7th summer in Colorado, and our 4th year being located on the beautiful Colorado Mountain College campus, in Glenwood Springs. My goal for our Colorado campers is to learn the game of lacrosse from our coaching staff that is comprised of current/former professional players, collegiate players, and high school coaches. While improving upon campers' skills we will also focus on maintaining a healthy balance between lacrosse and outdoor adventure. Campers will be participating in many activities highlighted by: Whitewater rafting, slip n slide whiffle ball, and leadership building. Many thanks to http://www.lax.com for their generous sponsorship and donantions in the wake of Hurricane Harvey. We are grateful! Team 91 Texas (76 Lacrosse, Inc.) is a 501(c)(3) organization.